When choosing a place to continue their education, students consider a variety of factors. Environment, cost, friendliness of the community and class size are important. But a student’s degree program, along with what the university can offer after graduation, might just be what determines where a student ultimately ends up. According to the Colorado Springs community who voted in The Gazette’s 2017 Best of the Springs, UCCS succeeds in offering the best for its students. UCCS was voted as the top choice, gold, in College for Bachelor’s or Master’s degree announced at the Best of the Springs awards on April 13. “The staff and faculty really want you to be successful. 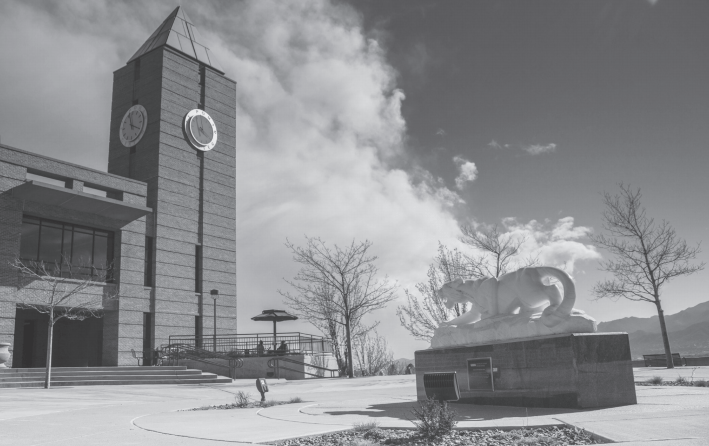 There is no other college that is this friendly and focused on student success,” said voters, who placed UCCS at the top of a list of three contenders, including Colorado State University and Colorado College. As of January 2017, over 12,000 students were enrolled at UCCS, according to the Office of Institutional Research. The university has done a lot as far as marketing to promote the positives of UCCS. To some, the internal elements of the university, like smaller classroom sizes and a diverse mix of students make UCCS the ideal place to earn a degree. Receiving recognition is, of course, a perk for us, not just for the university itself, but to students and organizations that call UCCS home. Junior theater major Jareth Spirio won gold for Best Actor, while Theatreworks Dusty Loo Bon Vivant Theater won gold for Best Theater Company. UCCS received bronze in continuing education as well. UCCS has come a long way from a small commuter school to the accredited research institution that it is now. Accolades like these only confirm the hard work that the university has put in to give the best to its students over the last 52 years; if we get anything out of this, it’s that we’re doing something right. As Colorado Springs grows, so does UCCS, which means more students graduating from the university. In 1994, the retention rate was 59 percent of 388 students who entered in the fall cohort. In 2010, the highest retention rate UCCS saw for its fall enrollment of 1,156 students was 71 percent. Whether students graduate from UCCS and stay in Colorado Springs or pursue further education and a career elsewhere, UCCS has become a large part of the community. We have also seen the school’s relationships with the community grow, as more students become involved on campus, we also allow businesses and other organizations more ways to be part of our school. This could be with the Annual Build-a-Bear Drive that is hosted by the Beth-El Student Nurse Association, volunteer opportunities with the Office of Sustainability or even something as simple as the connections that faculty, staff and students have within the Colorado Springs community. It is important for us, no matter the reason we’re attending this school, to feel it was worth getting the degree.